When in Rome, who better to take you around than an archaeologist? How long have you been in Rome and what brought you here? I've lived in Rome for almost 8 years and love brought me here. First of all my love for my husband, who was already living in Rome for work, and then my love for archaeology, history and art. I speak Italian, English and a bit of German. 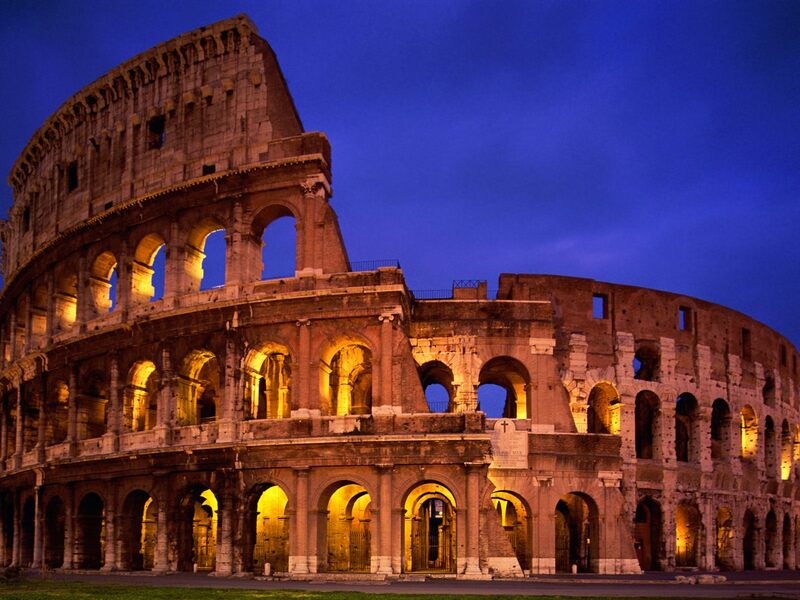 Have you lived anywhere else other than Rome? I've lived near Naples, the town where I was born and grew up, a few months in Milan, London and Monaco of Bavaria. We are a family of five, my husband and I have three children and at home we always have a lot to do. At the weekend their grandparents from Naples often come but our brothers/sisters live in part in Rome and partly in Milan. How do you approach language in your home with your kids? We talk to the children as if they were adults and we always indicate things by their name. Which language are your children more dominant in and why? My husband and I are both Italian so at home we always speak Italian, but sometimes grandparents teach children a few words in Neapoletan for fun. I think the best way to learn a new language is to do it as a child. I learned English in part at school and in part with English courses, German at the University. What schoolhouse course option are you considering for the fall and why? Playgroups at the school are very interesting but with three children I prefer to have a teacher at home for the moment. I am very fascinated by Latin languages ​​so I'd really like to learn French and Spanish. I hope to have time to study them soon. With no doubts oriental languages, too far away from our culture. I really like this question. I love eating and cooking and my first favourite restaurant in Rome is located in Testaccio, called "Da Felice" and there you find a very good Roman cooking, although a bit revisited. The second one is called "Nino", near Piazza di Spagna, with Roman and Tuscan cooking, and the third one is the "Open Colonna", in via Nazionale, it is located on the terrace of the Palazzo delle Esposizioni. It is very nice to have brunch there, the location is beautiful and the food well cooked. What do you think about parenting in a city like Rome? Do you find it to be an easy or difficult city in which to raise children? Rome is a very big city, where many families live, but living with kids is not so easy. Many streets are dirty and unsafe and sidewalks not feasible with a stroller (many tube stations do not have a lift!). It is certainly a city with lots of greenery, but services for children are lacking and many people rely on grandparents. We like very much to go around Rome and tell our children stories related to fountains, squares and monuments. Often we spend time in the parks of Rome, on Saturday night at a pizzeria usually. A romantic walk through the Roman ruins, an exhibition and a tasting at the regional wine house. 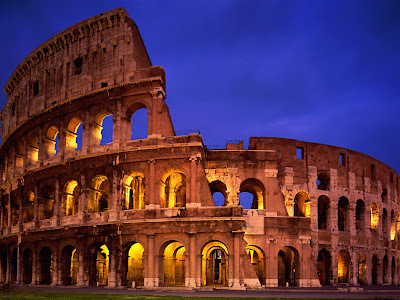 I would like to live in any city has more history and is more beautiful than Rome but ... does it exist? As the owner of a tour agency, you're probably the best person to ask this question: In your opinion, what's Rome's best kept secret? There are many of them. Among my favourite places are the basement of Basilica of Saints Silvestro and Martino ai Monti and the old pharmacy of Santa Maria della Scala. I never have time for myself but if I had it I'd spend in a museum or in a turkish bath or in a sauna. Il Giorno Prima della felicità (the day before happiness) by Erri De Luca. Memorable as all the book of Erri De Luca, not easy to read but full of insights. Torta Caprese. 250 gr sugar, 6 eggs, 250 gr butter, 225 gr plain chocolate, 230gr peeled and chopped almonds, 1 packet baking powder, 1 cup espresso,a bit of cinnamon liquor. Mix the eggs with sugar, add the melted butter, the chocolate melted in a double boiler with the espresso, the chopped almonds, the liquor and at the end the baking powder. Bake at 170* C for about 45 minutes. When the cake has cooled, sprinkle it with powdered sugar.